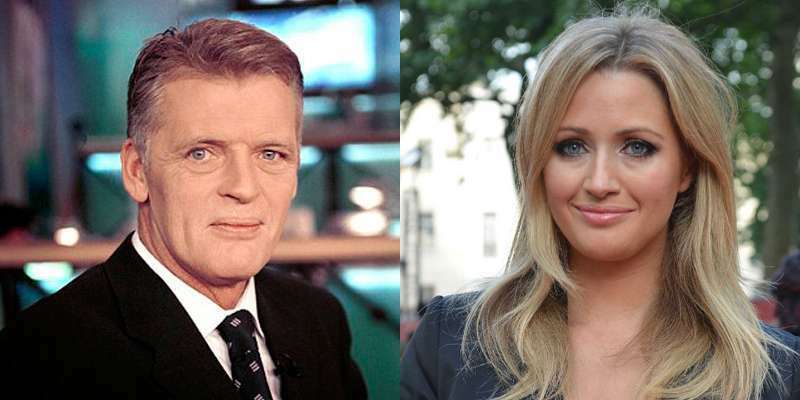 Hayley Mcqueen Bio, Engaged, Is She The Daughter of Gordon Mcqueen? Who is Hayley Mcqueen, Is She Engaged, Is She The Daughter of Gordon Mcqueen? With her accent, beautiful face, model fit body, and of course, impressive knowledge about football, Hayley Mcqueen is fast becoming one of the leading sports broadcasters in the UK. Besides presenting and reporting sports, she is also an experienced event host, an ambassador, and an RTS award-winning producer. The British broadcaster is a familiar face to viewers of Sky Sports News HD and Sky Sports’ football coverage. She is one of the few females in the industry who have anchored live football matches from the Premier League, FA Cup, UEFA Cup, World Cup, and Champions League. To further enlarge her sports reach, Hayley is a huge fan of golf and rugby making regular appearances at Lancashire Cricket Club. Moreover, she offers a running commentary on the latest rugby and tennis games on Sky Sports. Hayley Mcqueen was born in Manchester, England on the 9th day of December 1979. In the first fifteen years of her life, she lived in Scotland and Hong Kong before finally settling in Hutton Rudby, North Yorkshire. She had her education in broadcast journalism and media law. After her studies, she took off as a journalist but has since graduated into a host and an ambassador. Mcqueen started her TV career behind the camera as a runner and production assistant and then a reporter and producer winning the Royal Television Society Award as a producer before joining Sky Sports News as a presenter. She left the network in 2006 and landed at Manchester United TV as an anchor, presenter, and producer. She presented and produced the news, daily talk, match day live build up and phone-in shows. Hayley also conducted regular interviews with Sir Alex Ferguson and both past and present players. Over time, she built an impressive CV which detailed her work at Fox Sports, Al Jazeera throughout the 2010 World Cup tournament, before returning to Sky Sports. Hayley Mcqueen returned in August 2010 to Sky Sports following its HD relaunch as a lead anchor. She is the presenter of the Scottish Premiership and Scottish Cup as well as host of Sky Sports’ Match Choice and the live 3 o’clock Premier League game which airs exclusively in Ireland. She is also one of the three presenters for The Offside Rule, the award-winning football podcast along with Lynsey Hooper and Kait Borsay. Besides her work on the television, Mcqueen is a key contributor to some major sports magazine such as twentyfour7 Football magazine where she brings exclusive written feature interviews with sports celebrities such as Roberto Martinez and Steven Gerrard. She has interviewed other big names in the sports industry including Usain Bolt, David Beckham, Jose Mourinho, and Cristiano Ronaldo whom she has known ever before he became a huge star. The award-winning producer is also a prolific speaker who hosts award ceremonies and conferences among others. Hayley Mcqueen has hosted a variety of events both in and outside the sports arena for big names like Samsung, Nike, the Premier League, Scania, Manchester United, The LMA, The FA, UEFA, PFA, among others. Besides, she is an ambassador for various sports organizations such as Sport for Freedom, the Football Foundation, Football for Peace Global, SportsAid, as well as a number of cancer charities. She also participates in various Football in the Community projects. See Also: Who is Rachel Lindsay, Who is She Engaged To, Is She Married, Where is She Now? Is Gordon Mcqueen Her Father? The sports presenter has a certain degree of pedigree. Mcqueen has been around football from a young age and in turn, grew knowledgeable about the game that it sometimes surprises people how much she really knows. Of course, she has football in her blood being the daughter of former footballer Gordon Mcqueen who would take her to games as a little child. Hayley Mcqueen is one of the three children born to Gordon and Yvonne Mcqueen. Her siblings are a sister, Anna, and brother, Eddie. Her father played for Scotland national team, Manchester United and Leeds United. Hayley inherited the love for the round leather game from her father and credited him for helping her understand the game in a way she probably wouldn’t have otherwise. Gordon is also a Sky Sports pundit. Her boyfriend, Kirk Newmann who is a German-born model and actor popped the relationship level changing question to her at Dunnottar Castle, Stonehaven, Scotland in May 2018. They met on dating app Tinder in November 2015 and connected right away. Since then, they have been grabbing huge media attention and serving some couple goals. The couple moved in together in a home they bought in London in February 2017. As per their wedding plans, Hayley Mcqueen would love to have a boho-style ceremony in the South of France in the summer of 2019.